The silt beneath Venice was sculpted from uninhabitable marshland into a habitable foundation, and the city stood high on wooden stilts. Venice became the quixotic vision of a floating city that is both directly informed-by and ignores its context. As a result, the only ‘sacred’ elements are architecture and traditions. New cultural sites that introduce festivals only compete with the historically-informed ones. 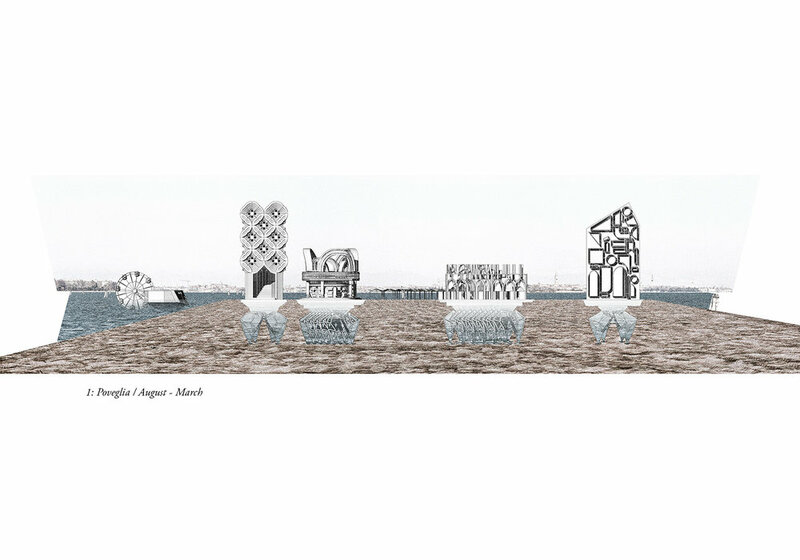 Talking City extends Venice’s structural system to completely decouple Poveglia’s buildings from their site to create nomadic buildings that travel to Venice in order to inflect the existing festivals with programmatic and spatial interventions, while lending the city academic facilities.